It’s been a while since the Scalextric scene was at the forefront of any young child’s mind. But now, in an era when entertainment is on tap, and competition is thrust into the mind in a flash, the world of slot-car racing is going digital – with a release of the videogame version of Scalextric on Xbox One. Available right now for the rather well rounded sum of £9.99, Scalextric bursts on to the gaming landscape to deliver a digital experience that promises to represent that of traditional slot racing at all times. You’ll be found witness to the chance to take in a number of stunning 3D tracks that push forward the magic and draw of Scalextric at every opportunity as you build your own tracks in an instant, or take in one of 12 pre-built units, before then hunkering down and speeding round each corner and blasting down the straights with ease. Whether you are to be taking time racing against the AI, or taking on our mates, this is Scalextric in digital form, with the entire experience promising to replicate that of years gone by – without the need to sit back for hours on end as you try to find the space in the house to create your ideal circuit. If you just want to relive your childhood years, or haven’t ever previously had the opportunity to enjoy the draw of Scalextric then now is the time to let your imagination and speed demanding ideals combine. The Xbox Store will sort you out for a download. Get over there and pick up Scalextric on Xbox One right now. 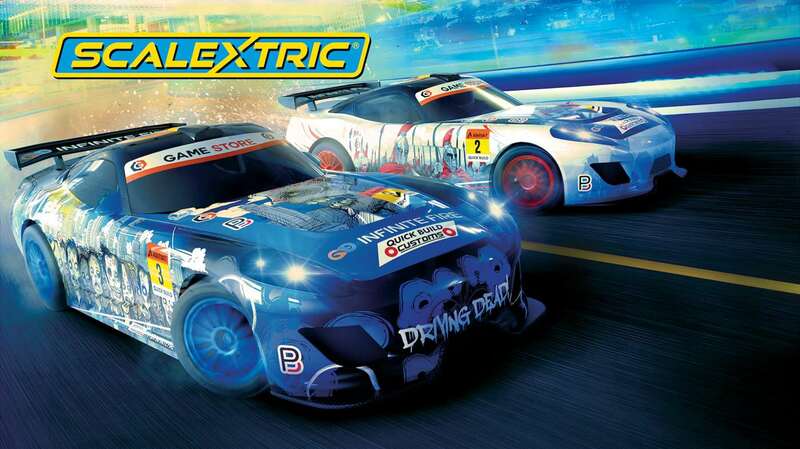 Speed through stunning 3D tracks you created and discover the magic of SCALEXTRIC! CREATE YOUR OWN TRACKS TO RACE ON Build fast, fun and challenging tracks with the track builder, Mix it up with your own track designs. Choose pieces of track and assemble new and exciting circuits or pick one from the twelve included pre-built World race tracks. RACE YOUR FRIENDS OR A DIGITAL FOE Play against your friends or play against the computer’s smart artificial intelligence (AI) player, either way, winning won’t come easy. THE CAR’S THE STAR Choose from four classic cars, then customise your ride. CHOOSE YOUR VIEW Adjust your point-of-view mid-game to get the best view of the action.